My children being How to Train Your Dragon fans, they are excited about Fox Home Entertainment's upcoming release of How to Train Your Dragon 2 on Blu-ray and DVD November 11. My daughter watched the movie with her summer camp friends in the theatre, and have been telling how fun it is so we are all looking forward to watch the movie and host a #DragonsMovieNight next week. Fold about 5" to 6" long duct tape with the wide side in half, and then make a loop with the duct tape so it will fit the child's palm through. Attach the duct tape to the circle board on both edges to secure it like a handle. Draw a dragon emblem or whatever the child wants on the shield. Draw a sword shape on card stock and cut it out. Wrap the blade section with duct tape. Glue the bottom part of the handle with glue. There will be lots of different ideas from recipes, activities to crafts on the How to Train Your Dragon 2 Facebook Page for Dragon fans, so be sure to follow and use them for your own party. 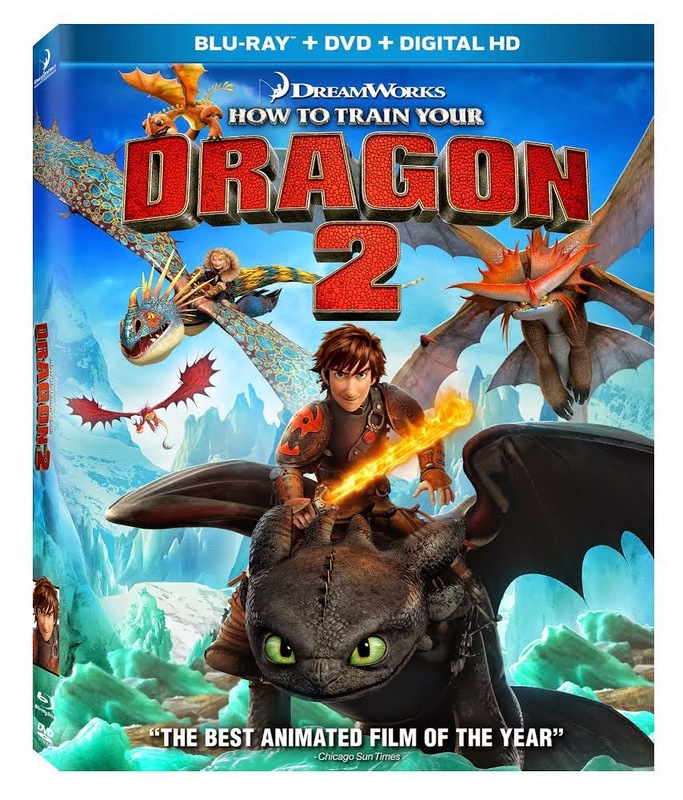 If you are in Canada or US and would like to win a copy of How to Train your Dragon before November 25th then enter the giveaway through the rafflecopter below. Please leave comments and follow my social media networks to be eligible to win. I am really looking forward to watching this on DVD. We wanted to go see it in theatre but it didn't happen. I think my kids would be more into making how-to-Train your dragon themed crafts after watching it. My daughter loved this movie. Love crafts like this that are fun and easy to make! Perfect! My daughter just designed her own Coat of Arms. I love your ideas, we really enjoyed both movies! Canada and my grandchildren will enjoy watching this movie. We live in Canada and would watch this movie with Miss R.
I'm in Canada, and I'd watch it with my nephew! I'm in Canada and will be watching with my grandson. I live in Canada. I will enjoy watching this movie with my son and husband. We all liked the first one. I live in Canada and my boys would be watching this movie!! I live in Canada and would watch this with my little cousins. I am in Canada and would watch this with my nephews. I'm in Canada, and can't wait to see the movie again with my son. It's one of our favourites! I'm in Canada and can't wait to watch this with my son - it's one of our favourites! I live in BC and my kids and I will be watching this! I am in US and my kids would love watching this on family movie night. I'm in the US. I don't have kids yet but my husband and I love this movie! I live in BC. I'd love to watch this with my daughter for family movie night. I'm in Canada and would watch this with my kids! I'm from Canada and I would enjoy watching with my daughters and grandkids!! I'm in Canada na dwould watch with my entire family. I am in Canada and would love to see this with my kids. I live in Canada. My son loves Toothless so I will be watching this with him! I am in the US. I would enjoy watching this with my family! We all love HTTYD! I live in the US and I would be watching the DVD with my grandson. my step grandson would love this! This looks like such a fun movie! Great idea for the craft too! I'm in Canada. and I would love to watch this with my son! I'm in Canada and would watch it with my husband! I'm from CAN/ON and I would watch it with my family. I am in Canada and would enjoy this movie with my daughter. I live in NB and my family and I would enjoy this on movie night.